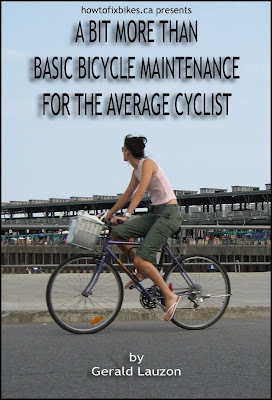 It was reported by a reader that one of the links to my free bike maintenance book was defective. For some reason unknown to me, the file sharing site I was using deleted the file. I've uploaded the file again and also made the copy on dropbox.com publicly available. So with these two and the one on issuu.com that makes 3 copies available at all times.The odds that all 3 vanish in one fell swoop are pretty slim. Feel free to keep me posted on dead links or missing stuff anytime, it's truly appreciated.